Even if you pride yourself on maintaining a super organized kitchen, refrigerators can often times be the exception to the rule. Food doesn’t care if you like to keep a clean house. 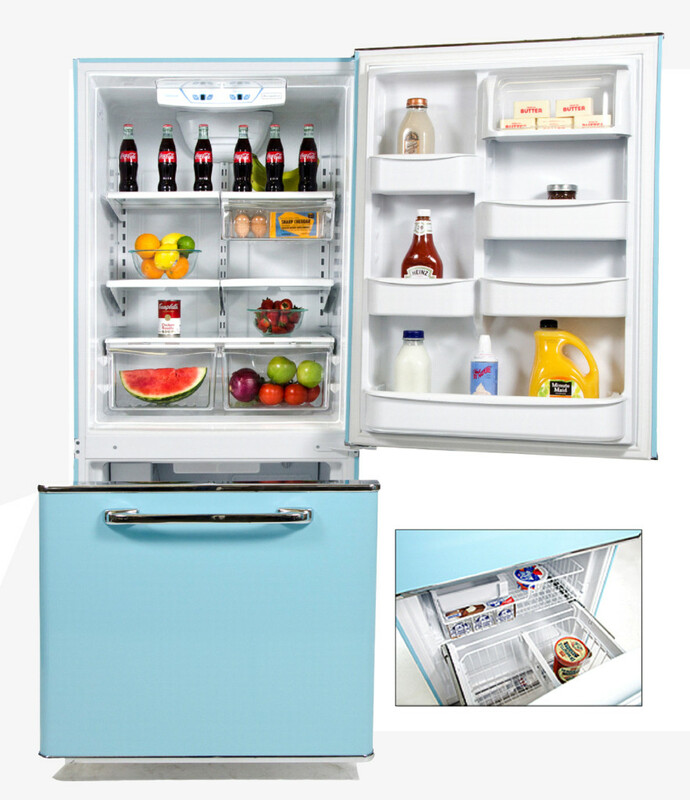 Food will spill, expire, and rot whether you want it to or not, and refrigerators are their home to do so. How can you navigate this chilly territory and turn your icebox into an organizer’s dream? 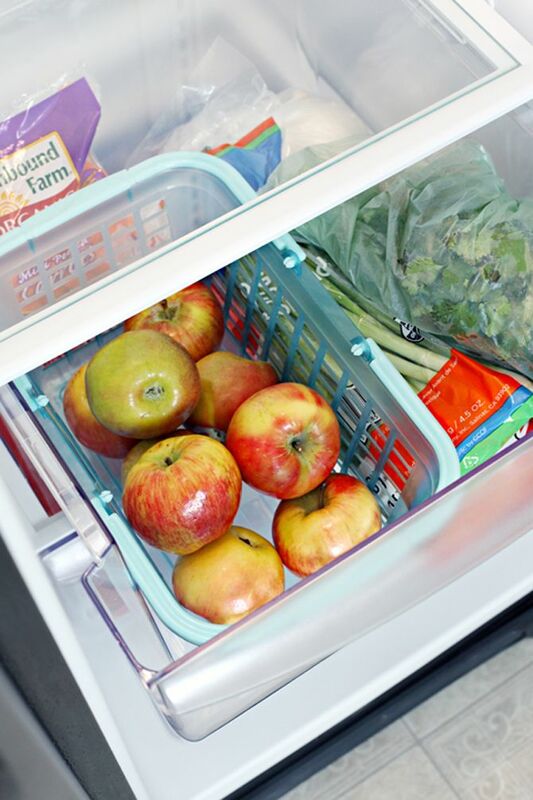 Here are 11 Refrigerator Hacks You Need to Know About to keep you well fed and clutter free. 1.) Freezers can quickly become hard to navigate territory. 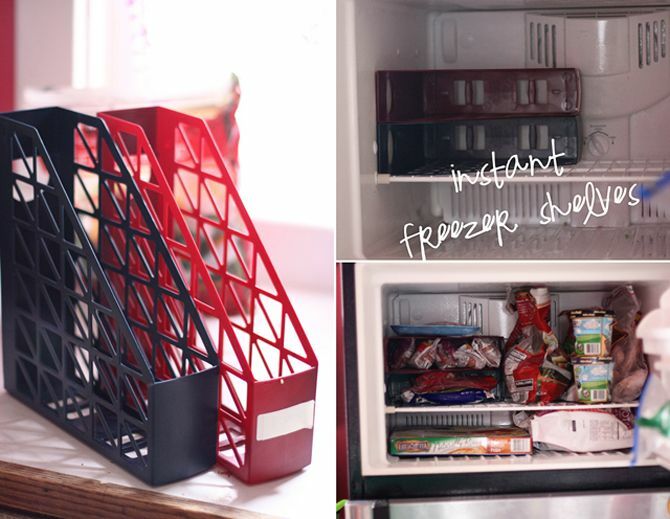 Reduce any unwanted frozen clutter and use magazine holders to create DIY freezer shelves. 2.) Fruits and vegetables can easily become squashed and lost in the bottom of your refrigerator. Keep things organized with the introduction of a basket or two in your produce drawers. 3.) Sick of squeezing condiments tirelessly, or hitting that ketchup bottle over the head one too many times? 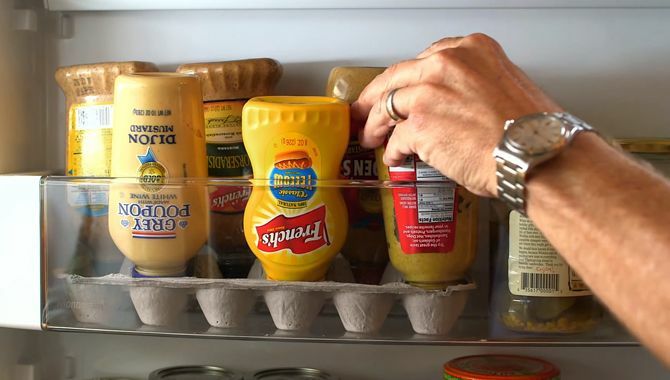 Save any unnecessary effort and store condiments upside down in an empty egg carton. 4.) Everything is easier with a Lazy Susan, and refrigerators are no exception. 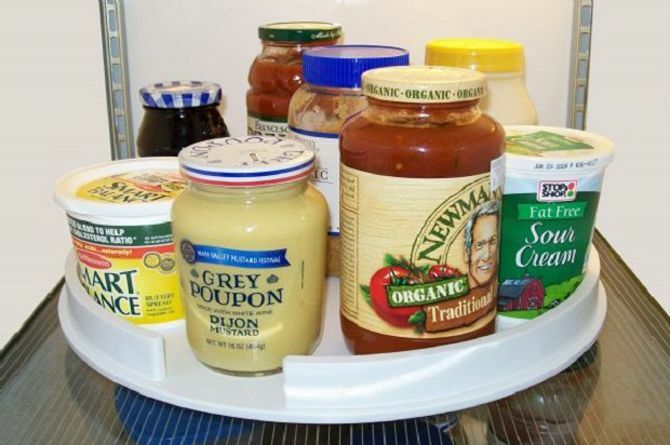 Keep items easy in reach with the introduction of a Lazy Susan in your icebox. 5.) Refrigerators can be a vast wasteland for forgotten food. 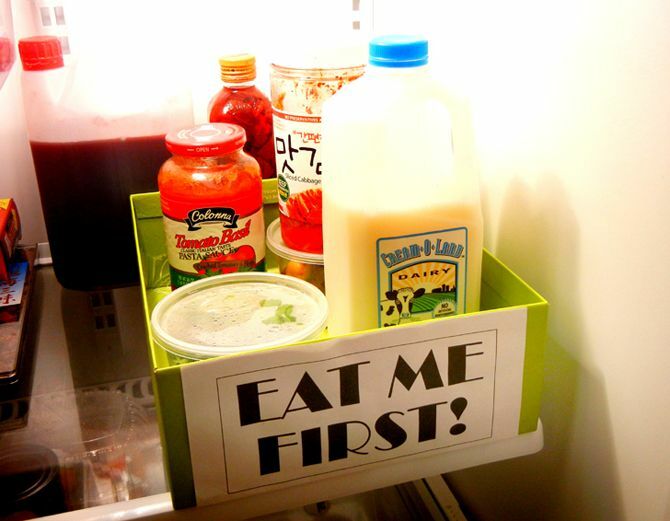 To help catch perishable items before they can reach their expiration date, put any expiring food in an “Eat Me First” box. Not only will this reduce food waste, but also help you save money in the long run. 6.) 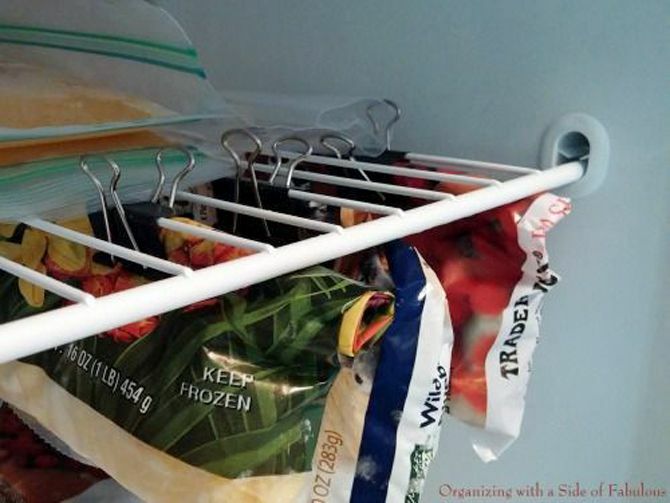 To create more room and take advantage of open space in your freezer, clip opened bags underneath a shelf for a super organized icebox. 7.) Sick of visual clutter? 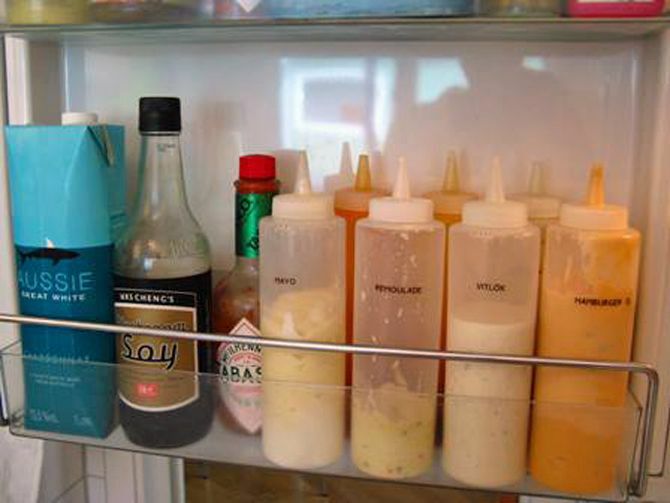 Distribute condiments into matching squeeze bottles to keep a uniform look to your refrigerator shelves. 8.) Nothing is more frustrating than a messy refrigerator spill, where sticky messes can lead to difficult and awkward cleanup. 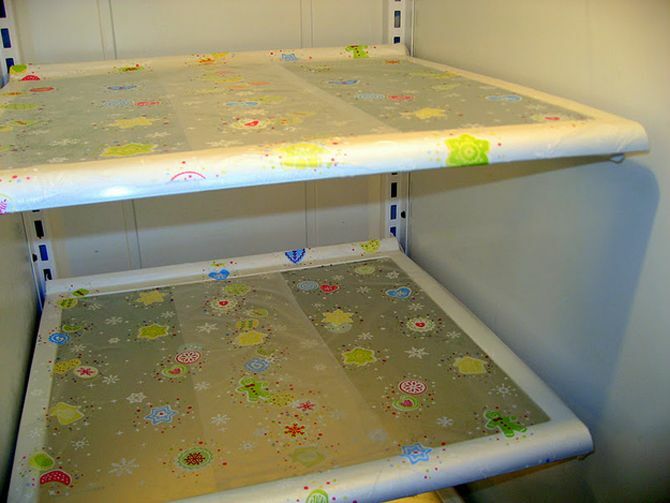 Save he hassle and cover refrigerator shelves with plastic wrap. 9.) 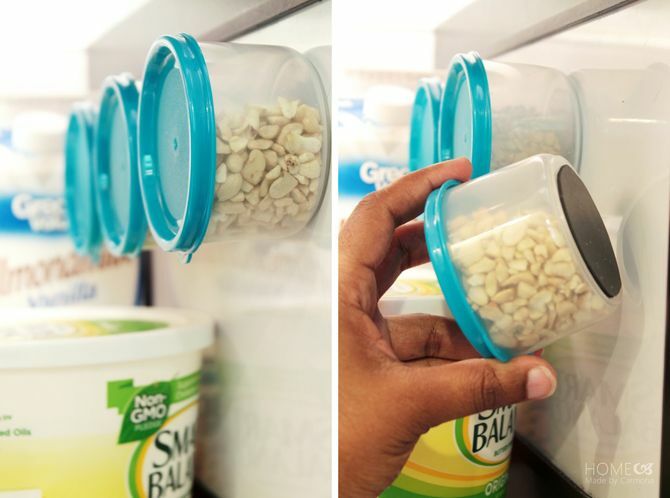 For a fast smoothie or cereal station, glue magnets to the bottom of reusable containers and stick them to the side of your refrigerator. 10.) Trying to maintain a balanced diet? Use baskets to organize refrigerator items into food groups to ensure you keep all bases covered. 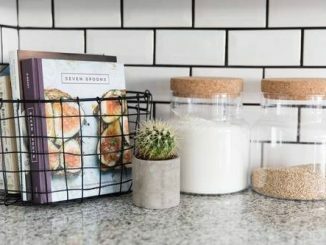 Ideas include a cheese basket, a sandwich basket, and a smoothie basket. 11.) 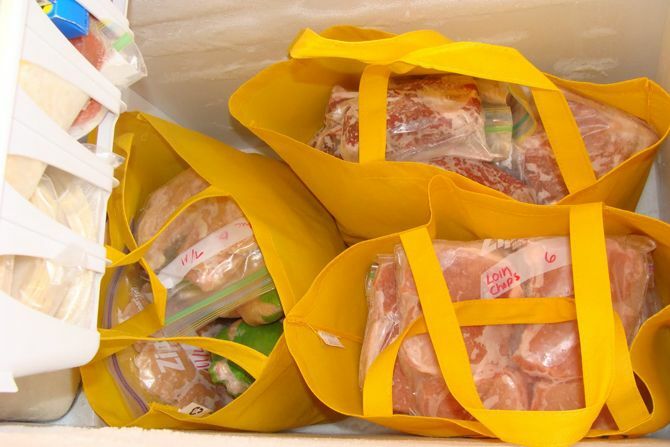 If you have a chest freezer, you can organize frozen items in reusable shopping bags for easy retrieval. 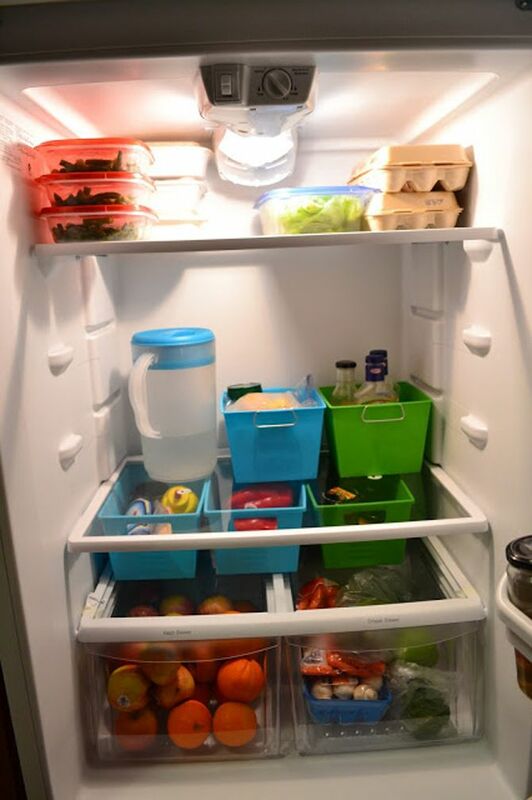 So, how do YOU keep your fridge organized? Let us know in the comments below. We might just add them to the list!